In order to test my low-cost transfemoral rotator prototype (see previous post), my team and I partnered with Mobility India, in Bengaluru, and Jaipur Foot (BMVSS), in Jaipur. Both organizations, founded and based in India, are inspiring NGOs, who strive to provide prostheses to impoverished amputees at little to no cost. We spent three days at each facility, each day testing and getting feedback from a single user. Our six users consisted of men ranging in age from 20 to 79, and in weight from 94 to 183lbs (sans prosthesis). We assessed the functionality of the rotator with a series of clinical tests, comprising of gait analysis, with and without the rotator. Some of these tests included having timed trials of the patient walking, standing up and sitting down, crossing and uncrossing legs, and tying and untying shoe laces. Since Jaipur Foot and Mobility India use different connection methods for their prostheses, a proprietary screw design and a more universal pyramid connector design respectively, I constructed two different prototypes. In figure 2, I used the leftmost prototype for testing at Jaipur Foot and the rightmost prototype for testing at Mobility India. Both prototypes have identical internal mechanisms and are mostly constructed out of printed ABS plastic. Consistent with all transfemoral rotators, the prototype was placed between the socket and knee joint of the prosthesis as shown in figure 3. The only other difference in testing at the two organizations was that at Mobility India, patients used their current socket, knee joint, and lower leg assembly for testing. This meant that the knee joint was somewhat displaced to a lower than normal position. In contrast, at Jaipur Foot, brand new sockets, knee joints, and lower leg assemblies were constructed specifically for the purpose of testing, avoiding displacement of the knee joint. Fortunately, judging from feedback at the two organizations, this difference had little to no impact on the testing results. The experience and feedback received at both organizations was reassuringly consistent and positive. Users hardly noticed the added weight of the rotator and appreciated the circumferential size and circular shape. Lacking sharp corners or unnatural straight edges, the rotator was more easily concealed under pants and coverings. Perhaps the most agreed upon critique of the design, however, was the preference to have one, instead of two, unlocking buttons. Older users, and those with smaller hands, found it somewhat difficult to operate both unlocking buttons simultaneously. Despite all the data and concrete feedback we received about the design aspects of the rotator, easily the most fulfilling part of testing was getting to see the patients' faces and reactions as they were suddenly able to complete tasks that before existed only as a desire. Costing thousands of dollars in developed countries, transfemoral rotators are a luxury that, until now, was unattainable in the developing world. Simply being able to sit cross-legged, in some cases for the first time in a decade, was life changing for our users. Especially in a culture such as that found in India, sitting cross-legged again can allow much more integrated participation in one's customs and traditions. Furthermore, the addition of a transfemoral rotator can allow for many activities that may not initially come to mind as being difficult or impossible for an amputee. Above the knee amputees, due to a variety of factors (such as restricted hip rotation in a socket and loss of local muscle structure), are not able to tie their shoes or put on their pants without removing their prosthesis. Below are videos of our patients doing both. 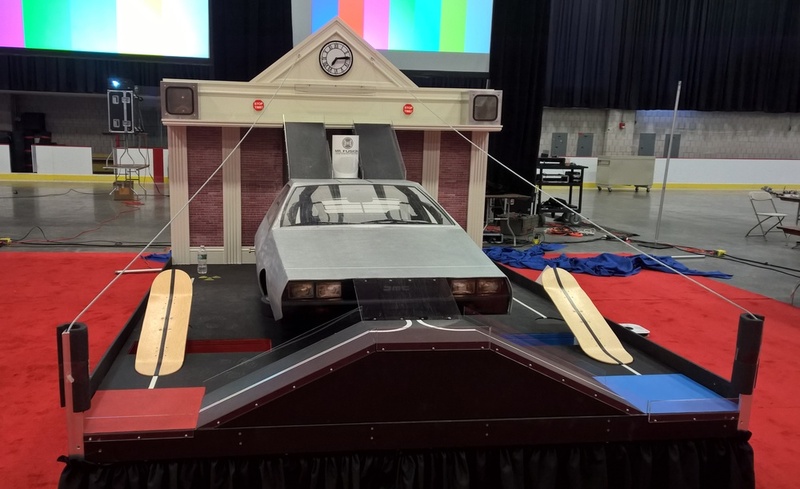 Having concluded the trip on a positive note, both organizations have expressed interest in seeing the prototype through to the next iteration and phase of testing. If all goes as planned, I will be returning to India in the summer with the new design and push the project into the production and manufacturing process. Below are some of the illustrated changes to the design. As before, the total number of parts (excluding fasteners) is 5, with only 3 moving parts. Transfemoral amputees (those with above knee amputations) have particular difficulty crossing their legs. This is in part due to restriction of movement from the large socket and sometimes also in part a result of muscle loss through the amputation. While on the surface this may seem like a minor inconvenience, being able to cross one's legs can be advantageous. For example, it can aid in tying ones shoes, ingress and egress from vehicles, cross legged sitting on the ground, and perhaps most importantly in some parts of the world, the ability to blend in and hide the fact that they are an amputee. All this can be accomplished through the use of a transfemoral rotator, which sits above the prosthetic knee. 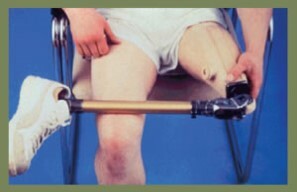 Typically unlocked with a button, they then allow the lower part of the prosthesis to rotate into the desired position. While a few rotators already exist in the developed world, they are very complicated and can cost thousands of dollars. Thus, they have never made it to being introduced in the developing world. 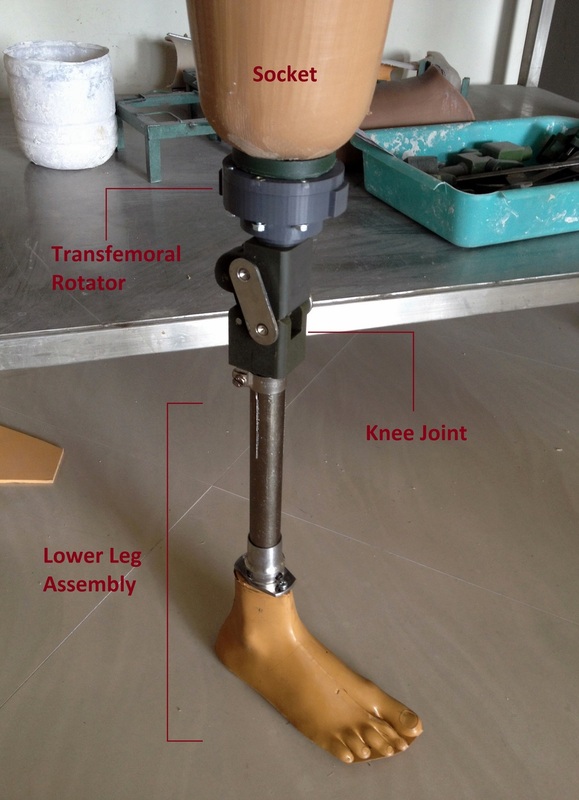 Therefore, the goal of this project was to design a low cost (sub $10) and robust rotator to be used in India with the current Standford-Jaipur knee in figure 2. Why India and why the Standford-Jaipur Knee? India was chosen due to the many cultural customs of sitting cross-legged and the social stigma surrounding amputees. Thus anything, allowing amputees in India to better blend in and participate in cultural practices, is likely to be adopted. This particular knee was chosen due to its unprecedented low cost (~$20) and durability. The initial concept for my solution came from tube connector mechanisms as shown in figure 3. 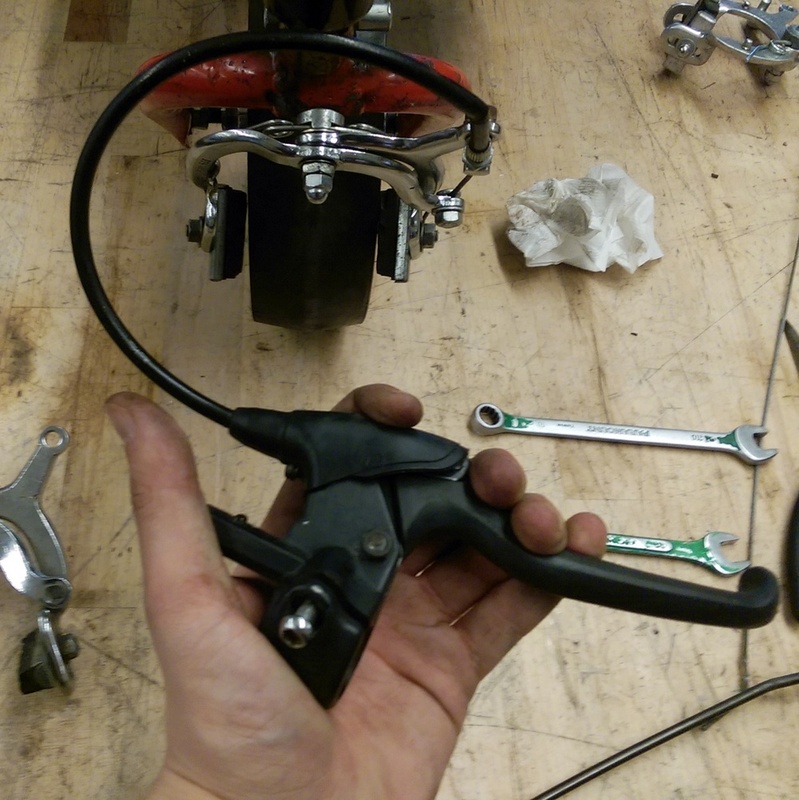 Using these cheap and readily available tube connectors (or push button spring clips) helped to simplify and lower the cost of the device. Essentially, the tube connectors would lock together an inner cylinder (attached to the lower prosthesis and top of knee joint) and a concentric outer cylinder (attached to the upper prosthesis and socket). 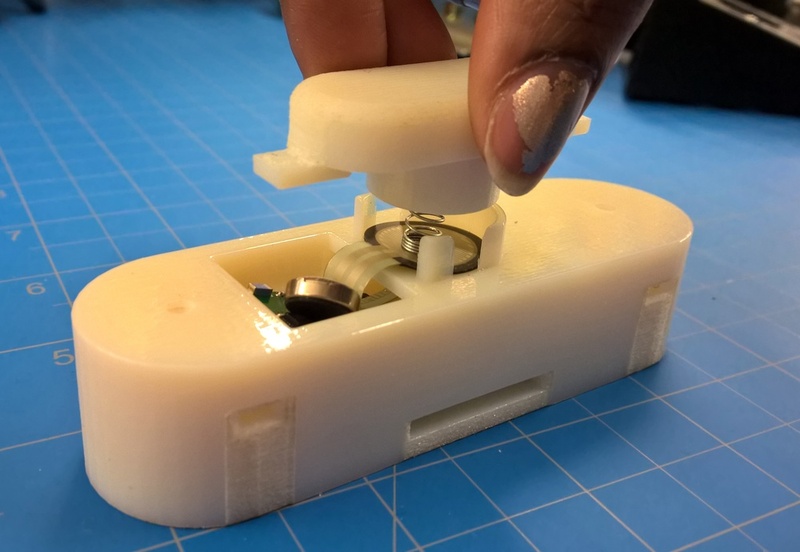 Through 3D printed iterations, large buttons were added to make depressing the tube connectors (and subsequently disengaging the lock) much easier, especially through pants. Furthermore, interfacing with the knee and socket was accomplished consistently with the current Stanford-Jaipur Knee through large screws. A more in depth look at the design (Fig. 5 and 6) shows that the rotator is composed of an inner cylinder (red), a split outer casing (dark gray and transparent), two buttons (blue), and two push button spring clips (green). 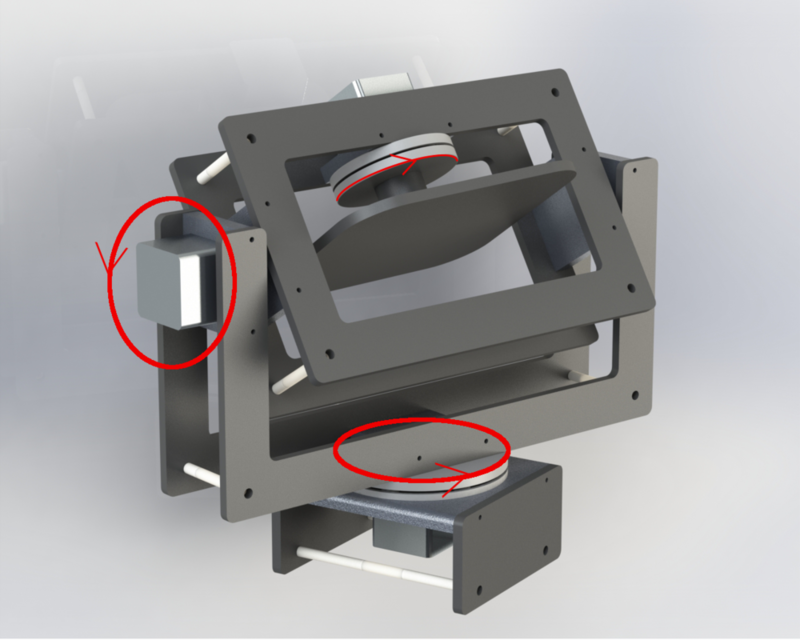 When the buttons are depressed, the push button spring clips are forced through the holes in the casing wall, allowing the inner cylinder to rotate freely. So long as the two buttons remain depressed, the inner cylinder, which is attached to the distal prosthetic leg assembly, is allowed to rotate 360degrees. If the buttons are released after the initial unlocking, the inner cylinder will lock in place after 180 degrees of rotation as the push button spring clips reengage the holes in the casing wall. As for the manufacturing process, all parts are either cheaply machined or purchased for a total cost of under $10. Furthermore, all parts can be easily integrated into Jaipur Foot's current manufacturing process. The only functional requirement that was not met was the ideal height of less than 1.25 inches (height of current rotators). Fortunately, however, Jaipur Foot put concerns over the height to rest, citing the fact that the length of residual limbs varies so much that the actual height of the rotator is not nearly as important as its stability and longevity. Update: I am traveling in January 2016 to Bangalaru and Jaipur, India, to test the rotator with Mobility India and Jaipur Foot respectively -- two companies based in India that focus their efforts on developing and delivering low cost prostheses to impoverished amputees. This trip will hopefully identify ways to improve the rotator and set in motion the process towards production of this device. I also hope to learn more about prostheses in the developing world and get a better idea for patient need and how it differs from previous work I've done in the developed world. This project was completed at the Technische Universität Berlin as part of a research through the Control Systems Group. The goal of this project was to design and construct a device to aid in rehabilitation of stroke patients, who struggle with knee flexion. Often losing joint flexion control in one or both legs, such patient have difficulty passing the leg forward during the gait cycle. This results in patient "hiking" their hip or swinging their leg around in order to pass the leg through, increasing metabolic costs and difficulty walking. Proper and effective rehabilitation plays a large role in returning patients to a natural gait cycle. Thus this device was designed to aid in the rehabilitative process and "retrain" the muscles in the leg and motor-neural pathways to the brain. The device consists of a simple DC motor with encoder, micro-controller, pulley belt drive system, spindle, and string with ankle attachment. 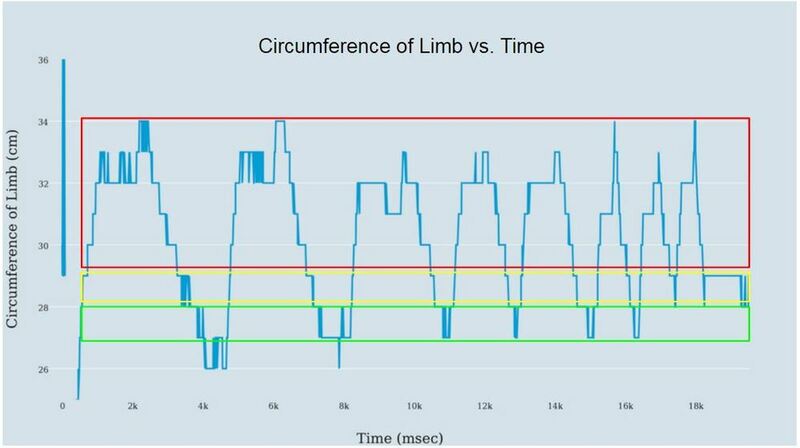 Using inertial measurement units (IMUs) on the leg, the exact phase of the gait cycle is known and the device pulls the ankle up (and in doing so, flexes the knee joint) at the right time to help pass the leg through and initiate the next step. Thanks to its basic pulley system design, the device is easily adaptable to a large variety of patients. Furthermore, by changing the force, speed, and point in the gait cycle, at which the ankle is pulled up, doctors can customize the rehabilitation program for the patients particular gait (and adjust the degree of assist as the patient improves). Further application of this device lies in model building for future assitive exoskeletons. 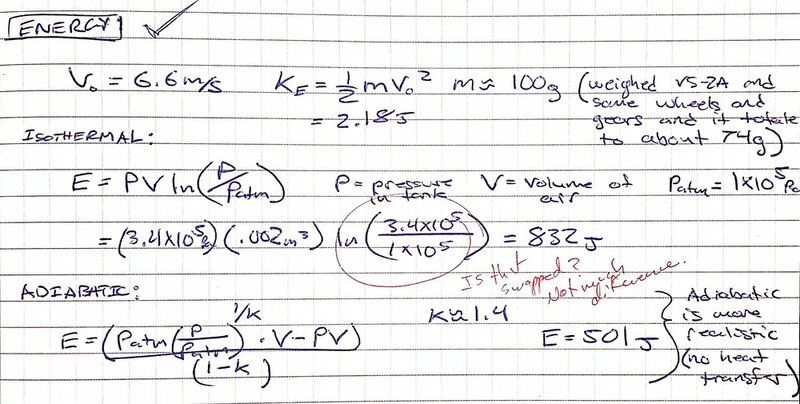 By varying the attachment point, force, and speed at which the device pulls, one can determine optimal design parameters for much more extensive devices. 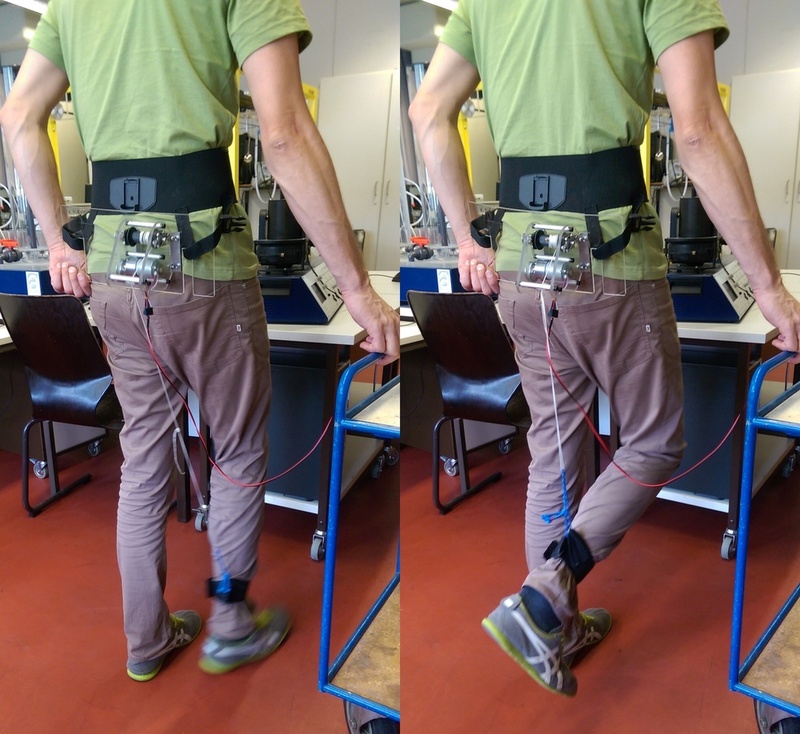 The goal was to design and build a device to calibrate Inertial Measurement Units (IMUs) for use in assistive exoskeletons. IMUs are comprised of three different spacial measurement sensors: an accelerometer, a gyroscope, and a magnetometer. Using data from all three sensors, one can determine its exact 3D orientation in space. In this particular case, IMUs were being used at each finger segment in order to determine the 3D position of a stroke patient's hand. Using this data, one can then construct a computer generated model and subsequently tell the exoskeleton how to move the hand into its desired position. The main issue, of course, is calibration. Given the sensitive nature of these sensors, each one must be calibrated precisely out of the box and in the case of temperature or climate changes. The current available process is tedious and time consuming. By hand, researchers must position each IMU at many known orientations and compare it with what the sensor is reading. They then must place the IMU on a turn table and spin it at known speeds, once again comparing this to what the sensor is reading. All together, this process not only takes time, but also leaves much room for human error. Thus, my device automates this process, increasing precision and decreasing time. 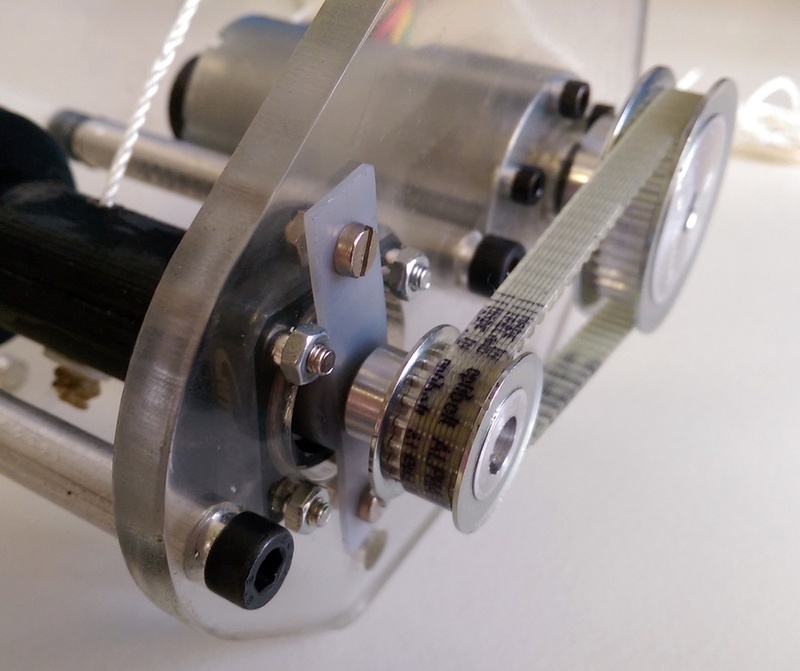 Inspired by a gyroscope frame, my device uses precise stepper motors and a nested frames to allow the IMU to be positioned in an infinite number of orientations (calibrating the magnetometer and accelerometer). The frames can also take turns spinning at constant speeds (calibrating the gyroscope). 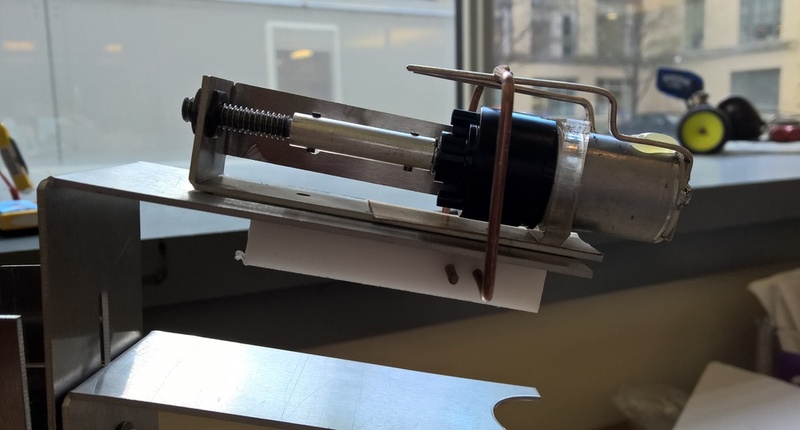 Furthermore, every part besides the motors are made out of non-magnetic materials in order to avoid miscalibration of the magnetometer. The motors are then shielded with Gyron, a material that shields against a broad frequency range of magnetic fields. Starting out with a basic prototype, feedback from community users has been positive and I have iterated the design a few times. 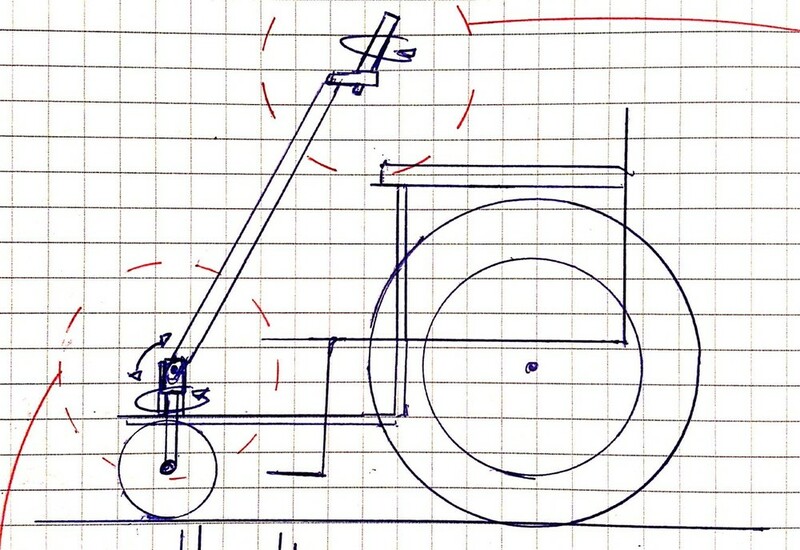 while the original prototype was securely fixed to the wheel-axil, the new design allows the handle to be easily detached and stored. 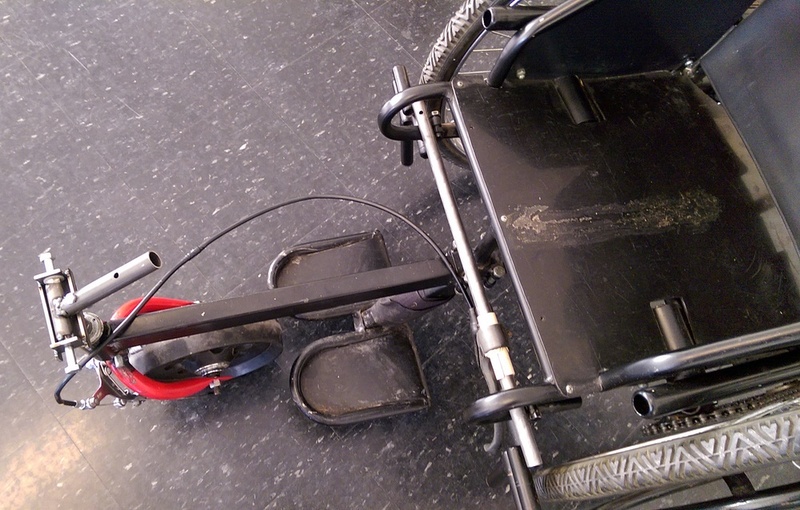 Furthermore, as per request from the local wheelchair community, a front caster braking system has been integrated into the design. PROBLEM: To create a device that measures grip strength of Multiple Sclerosis patients while they walk their dogs. Multiple Sclerosis is a disabling disease of the central nervous system that can cause fatigue, difficulty walking, vision issues, and numbness. One of the manifestations of these symptoms is a loss of grip strength. The rate at which grip strength is lost is an indicator of how quickly the disease is progressing. We wanted to provide an unobtrusive way to measure this loss over time. What better way than to record grip strength than to do it during a therapeutic and enjoyable activity such as walking your dog? SOLUTION: GripTrack is an affordable, accessible, and easily assembled kit that adapts to a dog leash in order to record grip strength data during dog walks. The kit is comprised of a main 3D printed case, which houses a micro-controller (MetaWear) and a force sensor (FSR), multiple 3D printed attachments, and a variety of fastening devices. The main housing measure grip strength through the depression of a large button that directs our user's gripping force onto the FSR. The micro-controller then records this data and either stores it locally or sends it, via Bluetooth, to the user's phone. The various attachments and fasteners then intuitively secure the device to a variety of leashes. The fact that this device records medically relevant data, during an everyday and commonplace activity such as walking your dog, creates a stigma free way to monitor their disease. Furthermore, this constant monitoring of Multiple Sclerosis allows for preemptive medication adjustments that could greatly improve a user's quality of life. The goal of this project was to create a disposable Ebola virus rapid diagnostics test. Comprised of a lateral flow strip, Arduino Uno (with GPS and SD card shields), and a low cost optical sensor, the test automatically reads the result of the lateral flow test and stores it along with the GPS location of positive or negative test on the SD card. The SD card can then be removed and the test disposed of. The red slider on the front of the test covers the sample insertion hole and automatically triggers a timer when opened. After a few minutes of the sample having been inserted, Arduino Uno will read the result of the test with the optical sensor (sensing one or two dots on the lateral flow strip), and record this result on the SD card. 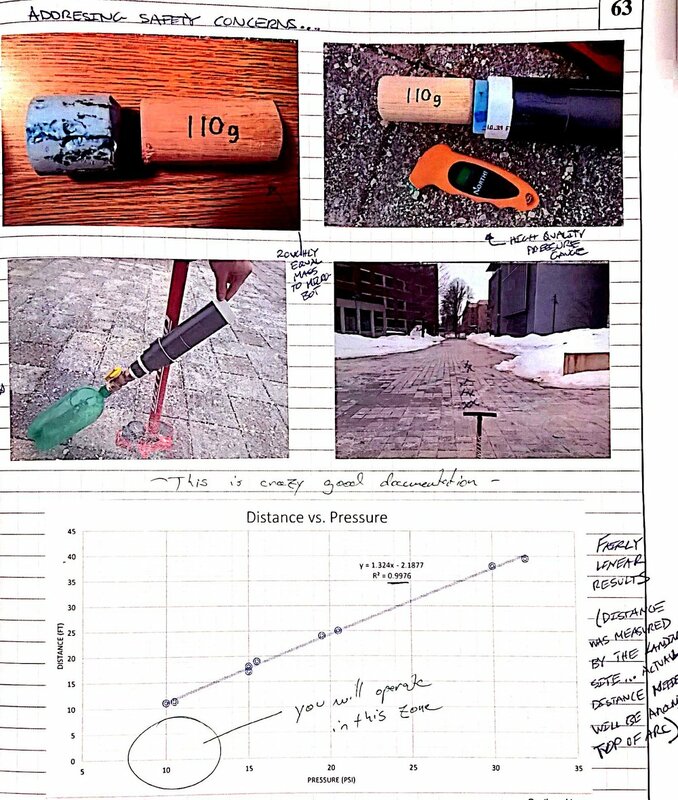 At the same time, the GPS location of the test is stored along with the result. The automatic and contained nature of all these steps provides less room for error and exposure to the virus. Furthermore, the GPS coordinate pairing with the test results allows heat map generation, showing the spread of the virus as well as particularly concentrated areas of infection. 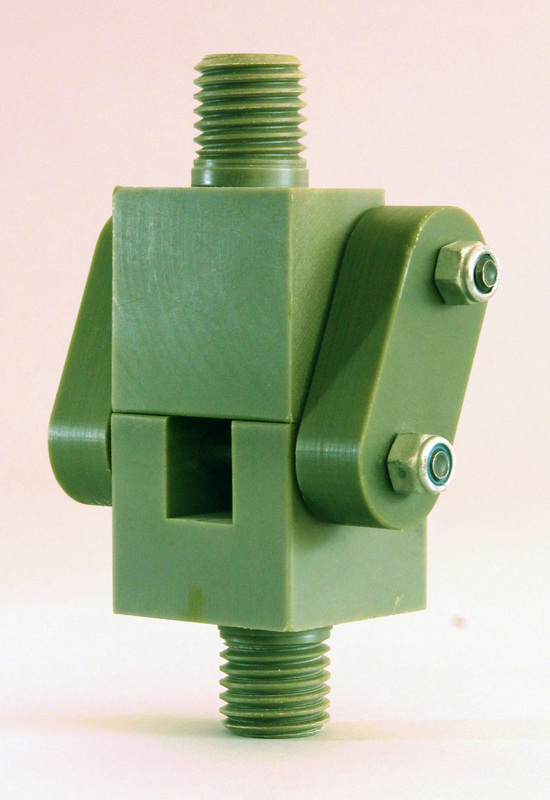 The main housing of the test is 3D printed and includes Lego connectors on the top and bottom of the test to allow easy stacking and storage of unused tests. The optical sensor was made on a CNC routed PCB board, along with surface mounted LEDs and photo-resistors. Lymphedema is a condition where there is chronic fluid buildup in the soft tissue areas of the body where an injury or damage to the lymphatic system has occurred. Because lymphedema typically affects a person's arms or legs, we created a compression sleeve monitor kit to record swelling of the affected limb and alert the user of irregular swelling. This monitor kit is to be used in conjunction with the current method of managing lymphedema through the use of compression sleeves. The monitor is able to not only inform the user of irregular swelling through visual alerts (RGB LEDs), but also through haptic feedback (in case the user is blind or just simply prefers a less externally obvious alert system). The monitor band is comprised of an Arduino Flora, conductive fabric and thread, RGB LEDs, and a haptic buzzer. Data from the monitor can also be stored and visualized to exam trends over the course of the day (as shown in the graph above). Hantavirus is a disease that is carried by rodents and infectious to humans. Found in many warm climates around the world, the virus is most often transmitted to humans through aerosolized urine of said rodents. (This can happen, for example, when the floors of infested barns are swept.) Current techniques for detecting the spread of the virus are laborious and expensive. Mice are caught in metal traps, killed, and taken back to the lab, where PCR is run on blood samples. If one mouse tests positive in a certain area, all the mice within a given radius are exterminated. This process is not only costly, but also puts the scientists testing for the virus at risk of exposure. Our trap autonomously tests for the virus, using a lateral flow test, while the rodent is still in the trap. It does this through a cutout in the floor of the trap, leading to a coated funnel that directs the rodent's urine onto the lateral flow strip. The strip can then be checked for a positive test via a number of options, ranging from low to high tech. Most simply, the cartridge containing the strip can be removed from underneath the trap and read. On the other end of the spectrum, we utilized a Pixy Arduino camera, LEDs for lighting, an angled mirror, and Arduino GPS and SMS boards to automatically read the result of the test (one vs two dots) and text the result, along with the GPS location of the trap, to the scientist's phone. This could allow scientists to set out an entire grid of traps and generate a heat map of the virus's spread and concentration in various areas.